– Added the data format 53 (text of points). This entry was posted in Graph-R Plus on August 29, 2018 by TOHRU ITOH. – Changed the display of title. – Added the function to automatically set the label of the legend. – Added loading of VTK PolyData (vtp) file. – Support for loading multiple contour data with data format 200 and data format 210. – Upgraded the driver version of the product USB dongle to version 7.80. This entry was posted in Graph-R Plus on April 27, 2018 by TOHRU ITOH. – Fixed display of selection point information. – Fixed that selection point number is not displayed correctly when adding minimum value and maximum value with selection point information. – Changed the product version installer. This entry was posted in Graph-R Plus on April 3, 2018 by TOHRU ITOH. – Added a function to save list of selection point information to functions operated from external application. 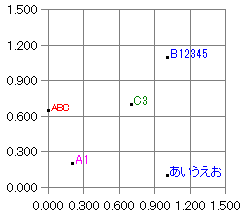 – Fixed that data formats 112 and 113 are not saved in text format Graph-R file. – Changed the method of saving scale value to setting file. – Changed numeric input of scale. – Fixed that contour can not be displayed when data interval of X or Y is too small in data format 1. This entry was posted in Graph-R Plus on November 10, 2017 by TOHRU ITOH. This entry was posted in Graph-R Plus on June 29, 2017 by TOHRU ITOH.